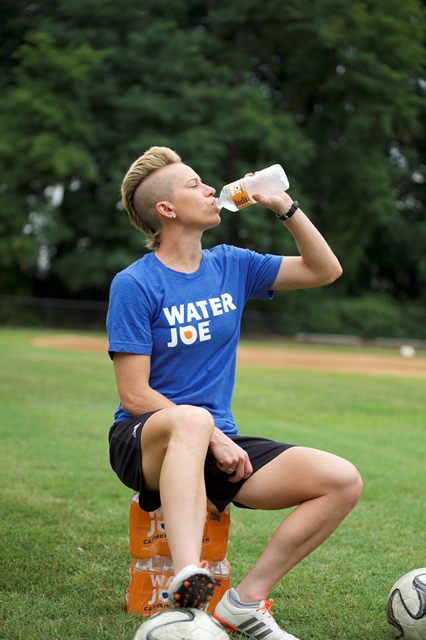 Meet #teamjoe athlete, Joanna Lohman! What is a funny story about you off the field? Recently, my Grandmother turned 95 and we had a big birthday party for her. This meant all five of my nieces and nephews were in attendance. They range from ages 3-7. To envision my relationship with them is to envision Peter Pan and the Lost Kids. I am basically one of the kids and we adore spending time together. They will literally do anything I tell them. Well, on Grandma’s 95th birthday, I was so excited to see them. I was inside when I spotted them for the first time out on the playground. Like a child on Christmas running towards the presents, I sprinted outside towards the playground. In no way was I going to prolong the reunion by entering through the proper door. I was on a bee line towards them which meant climbing a fence, so, I attempted to launch myself over this fence. In the process, my jeans got stuck on the wiring and to prevent a complete face plant, my jeans ripped in two places giving me what looked like Wolverine slashes on my upper thigh. Keep in my mind, this was the start of the party so for all the pictures, games, and celebrations, I would be baring some skin. I wore it like a badge of honor. I am a wild child and it was very fitting this happened in the manner it did. To this day, I still refuse to buy new black jeans and every time I put them on, I grin from ear to ear. I have one older sister and one older brother. My sister has two kids and is one of eight Associate Deans at Yale’s school of Executive Management. My brother has three kids and is a Foreign Service Officer for the Department of State. My parents are awesome and raised us to believe we could do anything we set our minds to. If you could have one magical power what would it be? I would like to be able to transport myself to places by just thinking about them. Close my eyes, concentrate very hard and BOOM….I’m there. Chicken wings and ribs. I am basically a cave man. I drink Water Joe when I need a jolt of energy, usually in the late afternoon when I need an extra push to be productive. 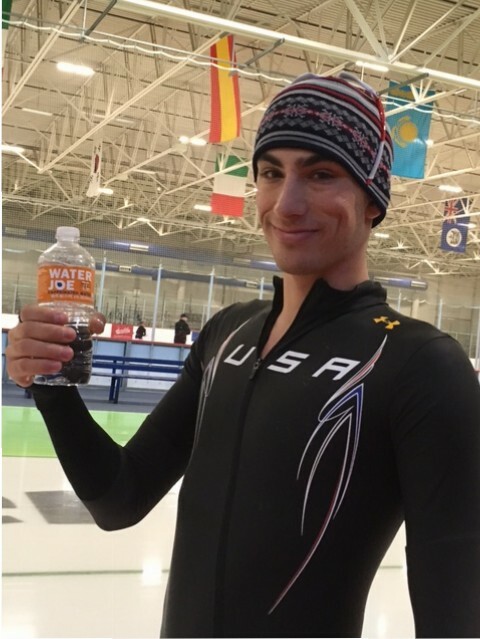 I drink it straight from that bottle! My greatest achievement is building my thirteen year professional career. It is extremely difficult to have a career in women’s soccer that spans such a long period. It means I have been able to stay healthy (by taking care of my body), consistently contributed to each team I played for, helped to grow the game globally, have value in the women’s sports arena, and demonstrated resourcefulness to secure supplemental income that allowed my career to continue. I have loved football since the age of six. I played on an all-boys team coached by my best friend’s mother. It started as a way for me to release my unrelenting energy and spend time with my friends. It grew into my vocation – my life calling. This has been my favorite volunteer job because I possess the overall desire to give back through the sport. I have been so lucky to do what I love for as long as I have. I know how the game has the power to change the world. It has changed my life. I want to be a part of the growth of the game especially to those who do not have the same opportunities I do as a American female athlete. Soccer can be used to empower young women around the world and when you empower a young women, you empower an entire community.